I highly suggest that you commit 60 hours of your life to watching the HBO series, The Wire, which ran from 2002 to 2008. The Wire is perfect, “perfect” being a term I almost never use. It is a fairly hard show to properly describe, since the easiest explanations do nothing to convey the brilliant complexity and depth that characterize it. In the simplest of terms, it is a crime drama, but to actually speak of it in those terms is a disservice to both the show, and potential viewers who are not necessarily fans of the crime-drama genre. The show is about the city of Baltimore, the institutions that make up the city of Baltimore, and the people who operate within the constraints of those institutions. Each season of The Wire deeply explores the inner workings of a particular Baltimore institution, beginning with the drug trade and continuing through the shipping industry, the city government, the school system, and the press. The show is so often labeled a crime drama because, for the most part, the viewer sees each institution through the lens of the Baltimore Police Department (itself an institution). What you come away with is not just a picture of Baltimore, but a picture the American City. Through its realistic and nonjudgmental portrayal of the many facets of the city, The Wire manages to cultivate a very real empathy — not to mention disdain — for all sides. Unlike so many other shows and movies, The Wire does not split the world into black and white, the good cops versus the bad criminals. It shows the city and its institutions as real cities and institutions truly are: made up of individuals. Though other shows have tried and had varying levels of success, what The Wire does is humanizes what are — to most of us — faceless and seemingly homogenous institutions. Often we think of institutions like law enforcement agencies in the broadest terms: armies of crime hating drones patrolling the streets according to a set of specific rules. The Wire puts you right into the institution and confronts you with the fact that, for all its imposing power and mystery, law enforcement is a job. And like any job, the people who perform it can be lazy, incompetent, petty, insecure and — at the end of the day — completely dispassionate about the duty they perform. Those who would do the job right must fight an uphill battle through the indifferent bureaucracy. 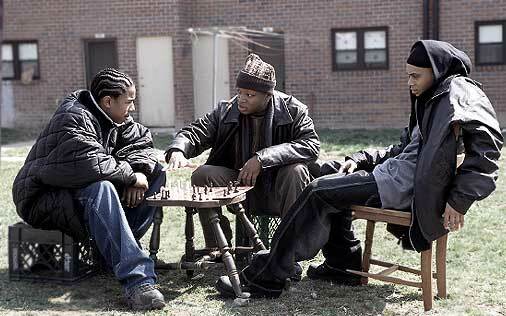 What is perhaps the most gripping aspect of The Wire, however, is how effortless it is to view. For all its brilliance, it is also incredibly entertaining. Those who don’t particularly care about ideas such as bureaucratic discourse and institutional interaction will nevertheless find themselves enthralled with a gripping story and beautifully written and acted characters. The show didn’t enjoy the popularity it deserved during its initial run. Since then it has been spreading like a virus. If you give it a chance, I can guarantee you will not be disappointed. I would go even further and say that if you watch The Wire, not only will you enjoy it, you will find yourself –as I find myself now — urgently needing to share it with others.